Your time is valuable. 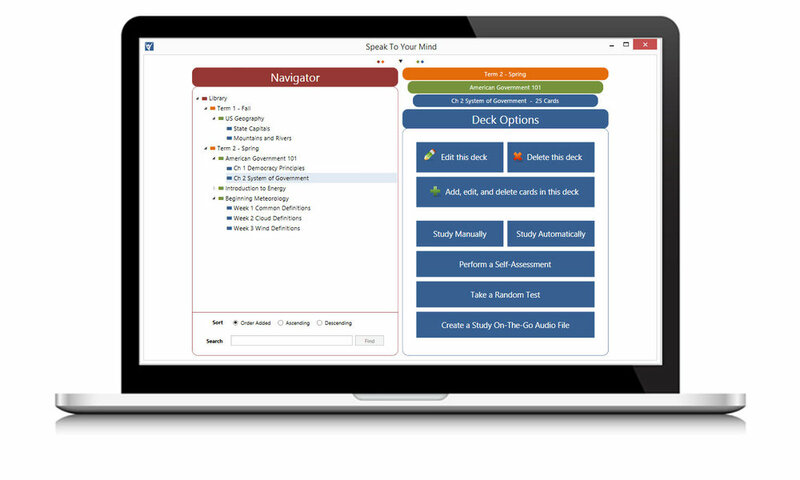 SpeakToYourMind flashcard software is thoughtfully designed to be easy for you to learn and use, right down to the smallest detail, so you can spend your study time learning the content you want to master. As you add your content, SpeakToYourMind automatically organizes your content into a structured outline called the library. The library is organized into three levels called terms, courses, and decks. Each library level is color-coded and named by you so finding your content is quick. Keeping track of the content you want to learn is a snap! 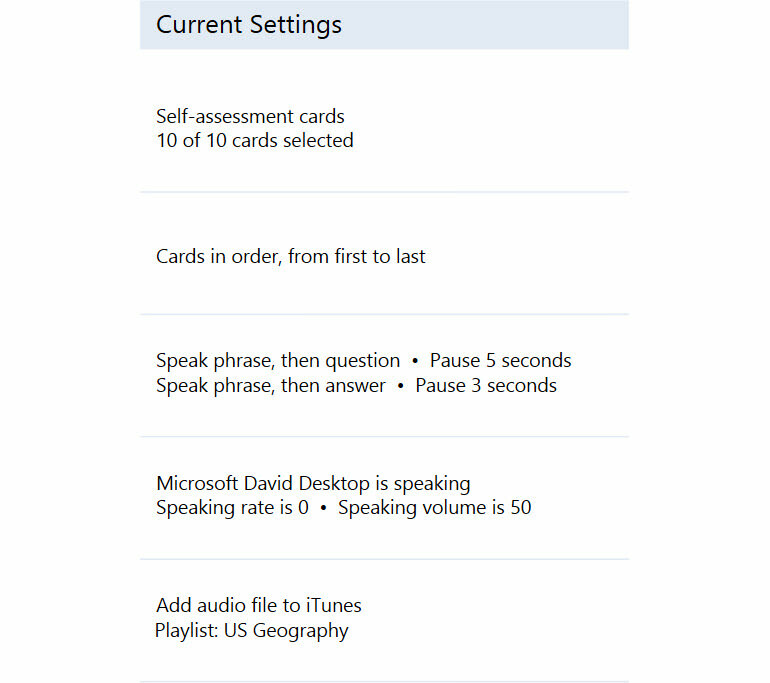 SpeakToYourMind provides you with many built-in options for studying your flashcards. But, no worries. Changing options is quick and easy. By exploring the available options, you're sure to find a variety of ways to keep your study sessions effective and engaging. SpeakToYourMind is designed to limit distractions to help keep your attention on the content you are studying. When additional information is displayed, it's presented as glanceable information. Sometimes it's the things that don't get your attention that are helpful. A highly efficient hub design makes it easy to go back and forth between modules. The consistent user interface design results in a common look and feel in all of the modules. Each module is optimized to minimize your time and effort as you interact with your content. Highly responsive modules provide immediate feedback of your content changes and study results. Anytime you need some guidance, context sensitive help is available from every screen simply by pressing the F1 key. Like software without a steep learning curve? SpeakToYourMind is super easy to use.